Back in high school, a lot of people used to ask me how my skin is always clear and how I could go without wearing foundation everyday. At times I do blame it on genetics yet I have noticed over the years that using certain products and eating more healthier foods helped my skin to improve. There's no secret and not every method works for every individual, unfortunately you just have to test out many products (oh boy...) and see what works for you. Let's get started! One of the most important things you can do for your skin is to wash off your makeup at night! I know it seems simple but a lot of people actually go to bed with makeup on because they're too tired or lazy to take it off. Believe me, it can make the biggest difference when you take off all that makeup that's been on your skin the whole day and actually let it breathe at night! I used to use makeup wipes to take it off but I realized that I was spending so much money because I kept running out of them all the time (25 sheets is not enough!) plus I woke up in the morning and still found traces of makeup on my eyes! 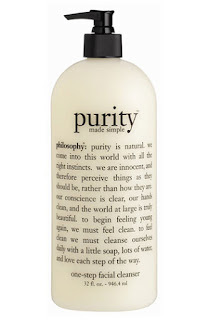 I decided to switch to Purity by Philsophy which is a face wash and even though it's pricier (I got a big bottle for $30), it lasts a long time and takes off EVERYTHING in one wash (including lash glue!). I bought myn from Sephora but it's also sold at Ulta and QVC. Last year, I went into my local Lush store (there's only one where I live and it's 20 minutes away! ugh.) and was talking to one of the sales associate about my skin problems. I have combination skin (which is oily spots on the nose and forehead area and the rest being dry) and was stuck trying to find products that could hydrate my skin while at the same time, taking away the oil that seems to build up during the day (yes it's gross, lets move on...). Before Lush I was using drugstore products such as Aveeno and wanted to take a more organic approach to skincare products since I noticed my skin felt better when I stopped using harsh chemicals. 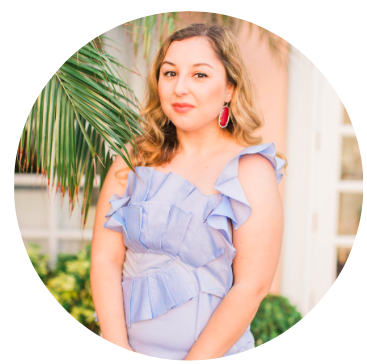 The products that the sales associate recommended (which I surprisingly loved and changed my skin dramatically!) was Angels on Bare Skin (cleanser), Eau Roma Water (Toner), and Imperalis (moisturizer). The only thing different about my routine was that now I was using a toner which I never used before and thought was pointless but it's actually the best product out of all three of them! When she first showed me Angels on Bare Skin I thought it was a scrub and knew that I couldn't use it everyday since it would dry out my already dry areas yet she insisted that I could since it was a gentle cleanser. She was right, right when I took it home to use after mixing it with some water it softened and went on my skin so easily! It made my skin feel so smooth and took away the redness on my cheeks and I've been hooked eversince! 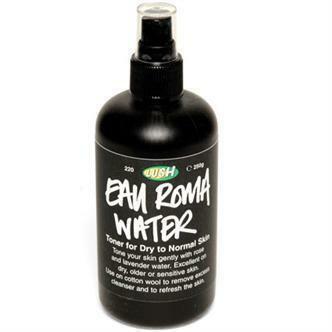 Before Eau Roma Water, I never used toner and skipped to moisturizer instead yet my skin always felt greasy and over-hydrated (is that even possible? haha) and I found that after cleansing my skin, using toner helped to moisturize the dry areas of my skin yet I didn't get that greasy feel! 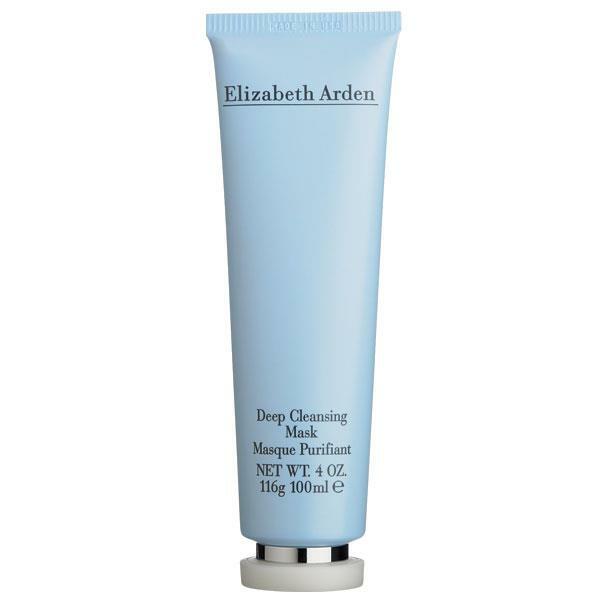 I use it a lot during the summertime because it's so refreshing on the skin and before putting on foundation since makeup looks better on hydrated skin. It's defiantly my holy grail product! 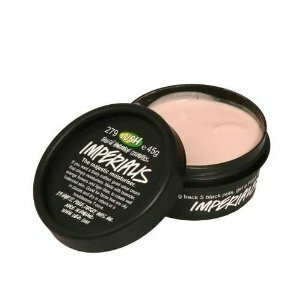 Lastly, Imperalis which is a basic moisturizer for dry skin that I only dab onto my cheeks and nose after I sprayed some toner on my face and still noticed some dry areas. The toner defiantly helps the moisturizer to sink in better and I've noticed I've had to use less of it because of the toner. 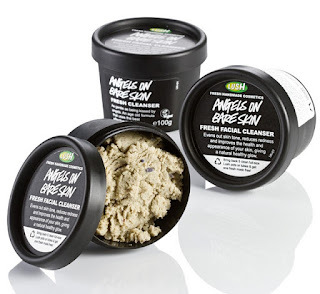 I wouldn't say this is something you need from Lush since basic moisturizers are sold everywhere but this one didn't break me out and has no sparkles, weird scents, and doesn't leave my skin greasy like other drugstore moisturizers have in the past. 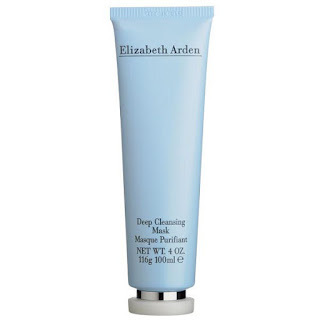 That's my basic skincare routine, but other than those products I use a face mask which helps to get rid of build-up and whiteheads (which I get a lot since I have dry skin) and am using Elizabeth Arden's Deep Cleansing Mask for years now and can't find anything better that could remove whiteheads so easily. I use it once a week or every other week and sometimes only dab it on my whiteheads if I feel like the rest of my skin doesn't need to be cleansed. So that's it! If you're looking for some good drugstore alternatives I would highly recommend Aveeno and St. Ives which have less harsh chemicals in them similar to these products. Aside from skincare products, I try to eat less junk foods which can sometimes break me out (because of all that oil and grease!) and try to eat more vegetables and fruits. Until next time, lovelies!